"In my view you must either do away with ornament or make ornament the essence. It's not something you add. It's not icing on a cake. It's everything or it's nothing." Watteau's stay in the home of friend Edme-Francois Gersaint inspired L'Enseigne de Gersaint (the interior of Gersaint) and the theme very much centers on the sale of art. Watteau approached this final masterpiece very differently than his other works. He normally painted slowly, but the last painting he would leave to the world would be the exception. Perhaps Watteau's deteriorating health sped up the process, enabling him to complete a piece much larger than he normally painted in a miraculous eight days. Watteau desired to paint a signboard of the interior of Gersaint's impressive gallery to ease the numbing effects his illness brought to his fingers. It would hang just beneath the sign of the name of the gallery. Within the painted gallery, several elite individuals who purchase art are unaffected by the mysteriously disappearing façade and are more preoccupied in attaining their desired pieces. The workers of the gallery put the purchased art in boxes while a dog sleeps in the corner. Though this piece is not a precise depiction of Gersaint's gallery, it provides viewers with insight into the elite establishment of a robust and thriving French gallery. It captures the high class clientele and the thriving trade that made the art emporium a vital part of the 18th century French art market. Besides the aching numbness Watteau experience in his fingers due to ill health, he drew from the interior of his friend's art gallery. Gersaint was a successful art dealer, and a kind friend who opened his home to Watteau. Interiors of picture galleries were a popular subject for enlightened art collectors and served as a record of identification. Though L'Enseigne de Gersaint may not truly depict Gersaint's interior, one can still admire the art seller's choices in paintings, two of which possibly belong to Ricci or Rubens. 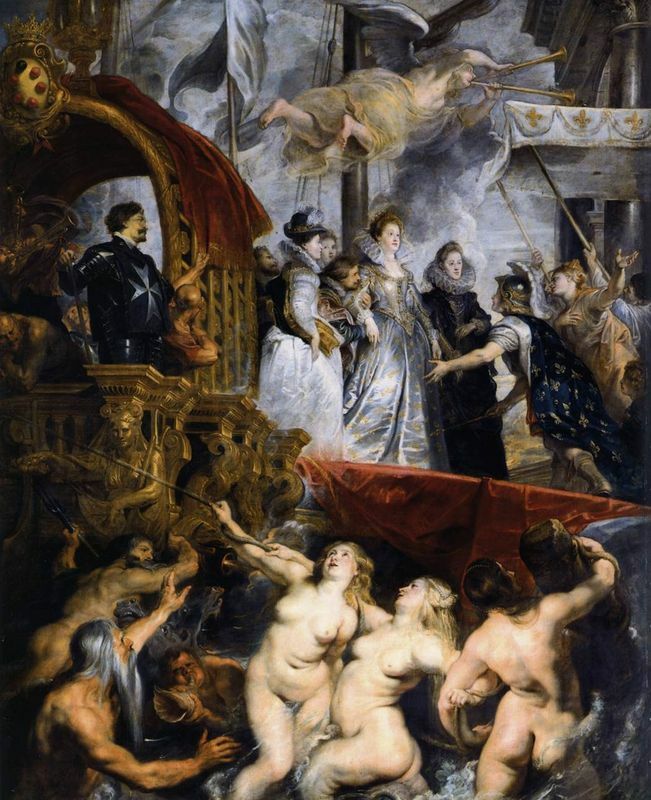 Rubens was a master Baroque painter whom Watteau studied very closely, especially his Medici series. 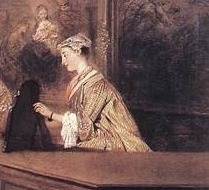 Watteau's intent for L'Enseigne de Gersaint, besides promoting art sales, focused mainly on personal growth and the satisfaction that came along with such success. 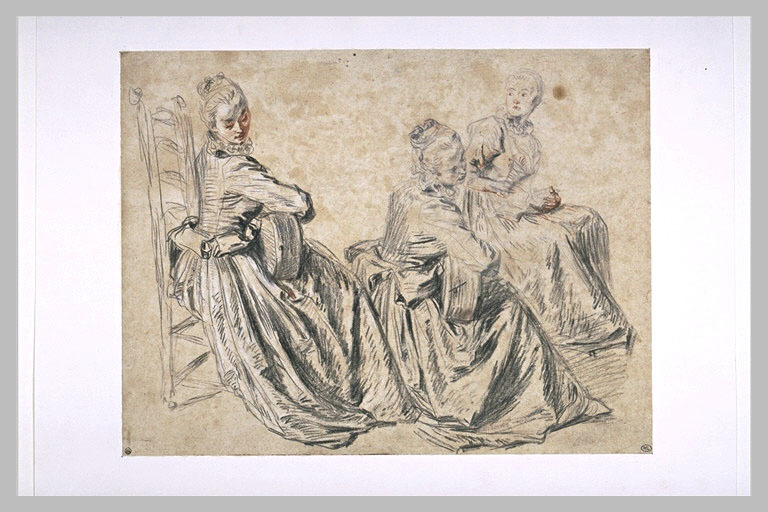 Watteau had valued his drawings more highly than his paintings and was continually frustrated that he could not capture this quality in paint. But as one can see in L'Enseigne de Gersaint, there is a naturalness to his figures that isn't seen in his earlier paintings. This piece was liberation for Watteau; in his last piece, he finally achieved one his most important aims. The viewer looks at the twelve figures from a head-on perspective. Watteau divides the twelve into two separate groups which made it possible to separate the painting into two parts. He fills the majority of the foreground with the paintings of Gersaint's gallery. 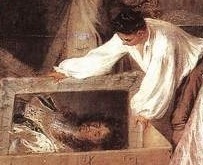 There is, however, a pooch in the lower right hand corner that sleeps in the dreamy shadows only Watteau could create. The mood of this piece illustrates the grandness and excitement of buying art. The women dress in fancy clothes, as eager to purchase art as they may be to attend a royal Ball. Their male counterparts are dressed equally as fine, their wardrobe's suggesting how seriously they were about the sale. 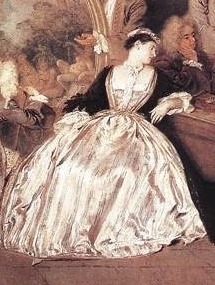 Watteau suggests such an event as a social get together. The effectiveness of the lighting in this piece was achieved through the artist's light and rapid brushstroke. Though the grandeur of his landscapes is missing in this painting, the coloring of this piece is just as fascinating. The cool colors of the women's silk dresses serve as a wonderful contrast to the otherwise neutral, warm palette. As one pays attention to the courting between the shadow and the light of the silk dresses, it is hard to believe that any artist could complete such a complicated fabric in just eight days. Watteau's skill with the treatment of light created the form of the figure that he so badly wanted to translate from his drawings into his paintings. The dim interior of the gallery makes the silk stand out even more, and one can imagine how the shadows danced toward the light as the ladies moved around to view the art on display. L'Enseigne de Gersaint seems to stand in a league of its own, as Watteau was beginning to adopt a different style, a style that would not develop fully due to his untimely death. Yet it is beneficial to compare his treatment of the silk dresses in L'Enseigne de Gersaint and the Assembly in a Park. The theme is not similar, but the content serves as a good way to understand the artist's growth. 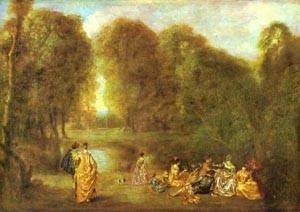 Painted just four years before L'Enseigne de Gersaint, Assembly in a Park depicts Watteau's first attempt at capturing the female form in a silk dress. The positions of the high-class women in both paintings are very similar. As Watteau painted Gersaint in only eight days, it is probable that he used the same sketches and studies that he used originally for the Assembly. It is evident that in the four years that passed in between the paintings, Watteau's skill with light and shadow had seriously progressed. The signboard was an instant success, selling just a few weeks after it was posted. The sign was split in half and purchased by two different buyers but today back together as one piece, although a few inches are missing down the center. 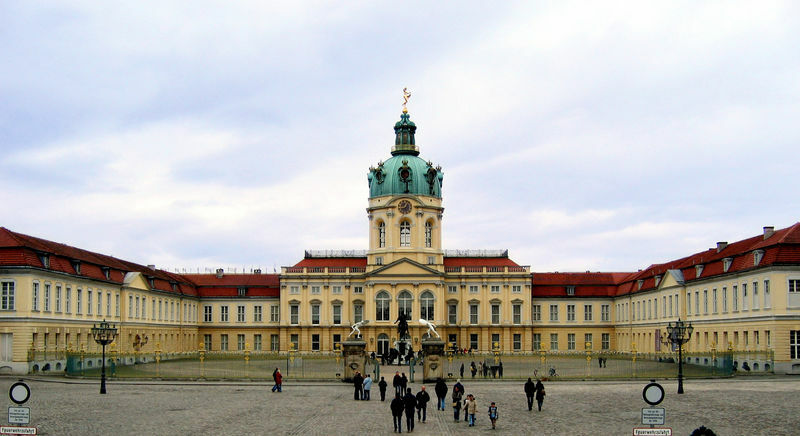 It currently resides in Charlottenburg Palace, Berlin. Critics have challenged Watteau's stylistic ability accusing him of being "deficient in the art of composition" and that he had yet to conquer relating figures in depth. In his larger works, groups are often painted in rows, as seen in L'Enseigne de Gersaint. Only in his smaller works are the figures in the same plane. Critics also note that Watteau did not see in flowing curves but in tight, straight lines when it came to form. The substructure of even his quick sketches is severe. Rectilinear severity in L'Enseigne de Gersaint is displayed with the standing lady and the kneeling connoisseur severity. All the figures, except the packer in the white shirt, have an underlying sharpness of accent. 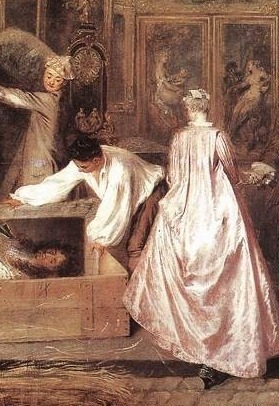 Yet, despite this, Watteau is said to have extended the bounds of the 18th century French-born Rococo art period beyond architecture, furniture and sculpture and into painting. He was attributed to developing a unique style and revolutionizing the art world through his individuality. This was seen not only in the themes of his work (very theatrically influenced) but also in his style (ornate, airy). 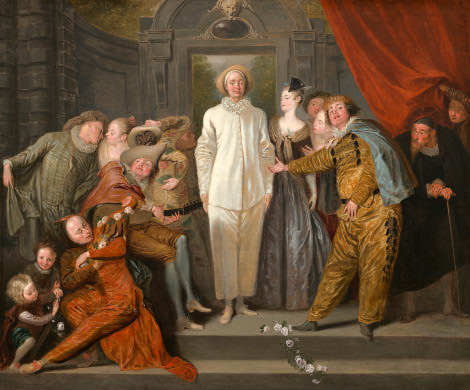 Watteau's artistic content could be summarized by two major influences: his love for the theater and his fascination of the Rococo styling and design. 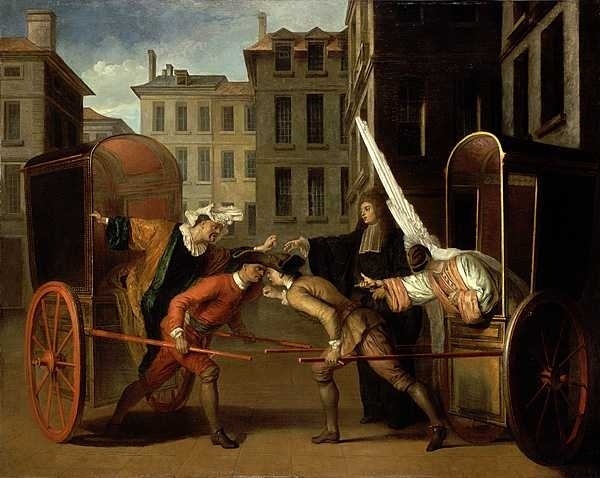 Spending his early years in Paris in the workshop of set designer Claude Gillot, Watteau gained his love for the theater, specifically for the Italian Commedia dell'Arte and its innumerable characters. 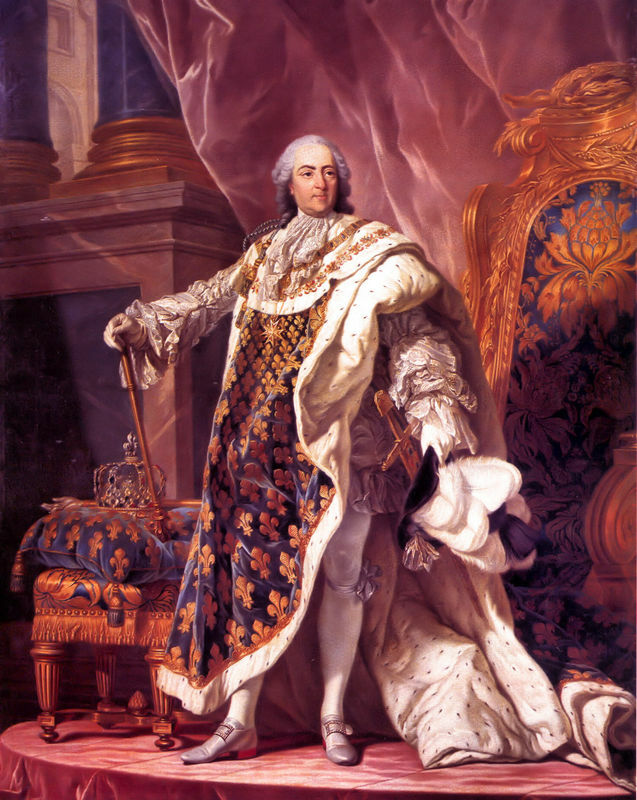 Shortly after, he worked for interior designer Claude Audran III and picked up Rococo design influences.